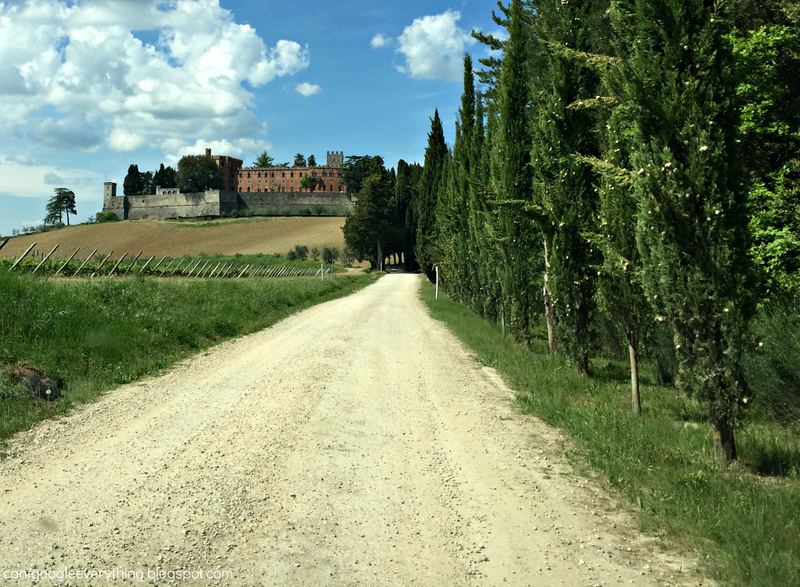 Wanderlust Wednesday: A Quick Tour of Tuscany and Florence! 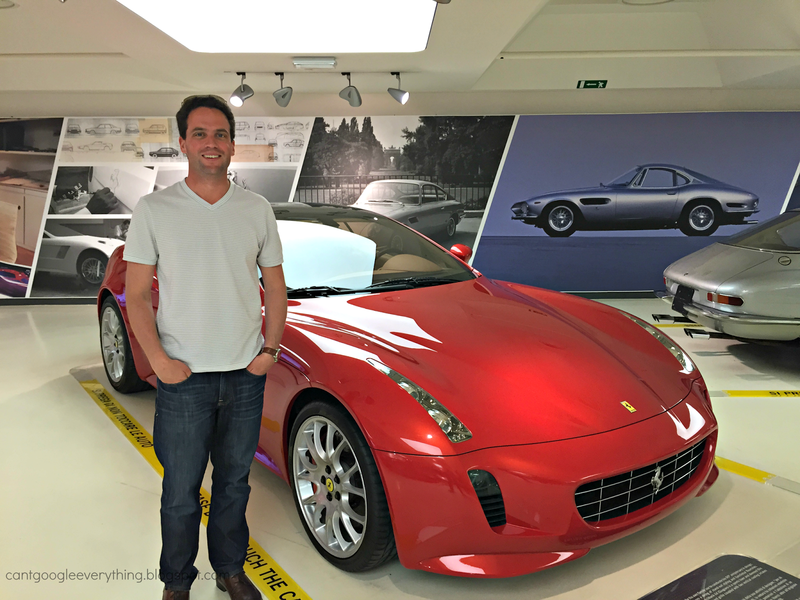 We started our Italy trip in Venice and then headed to Rome! 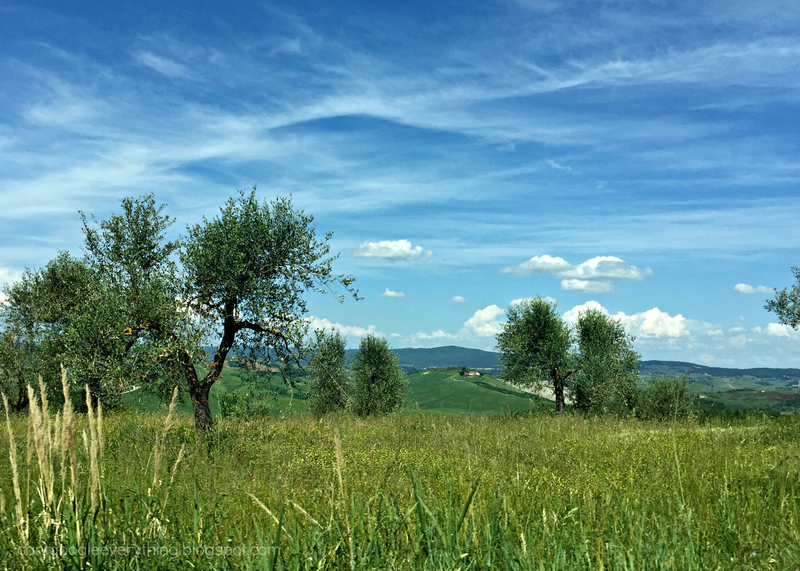 We left Rome and rented a car to take a drive through Tuscany up to Florence and finally Milan, making a few stops along the way. 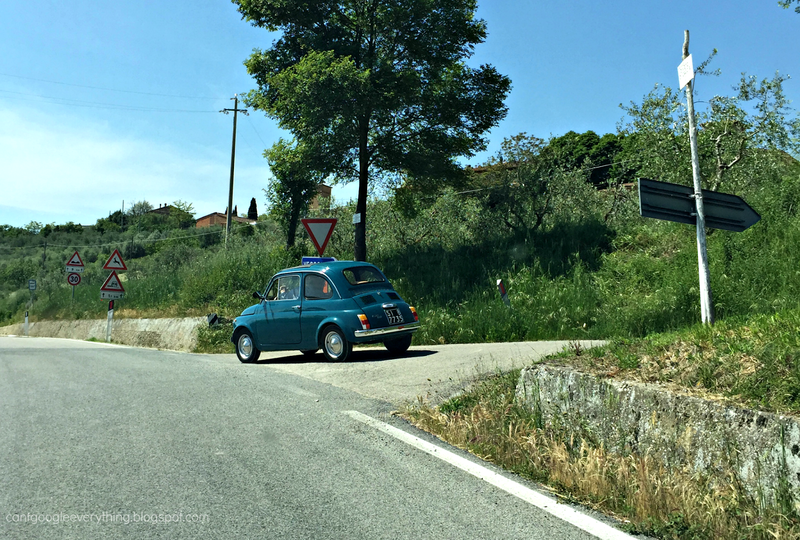 We hopped in our rented Fiat Panda and headed out of Rome! Driving around was nice and the scenery was beautiful! We drove up and down and all around! We stopped about an hour north of Rome as this neat little town called Orvieto which was on top of a cliff! We weren’t able to get any pictures, because you couldn’t really see it from the ground, but it was pretty cool! We took the funicular to the top, walked around the little square, toured the cathedral and then we were off again! 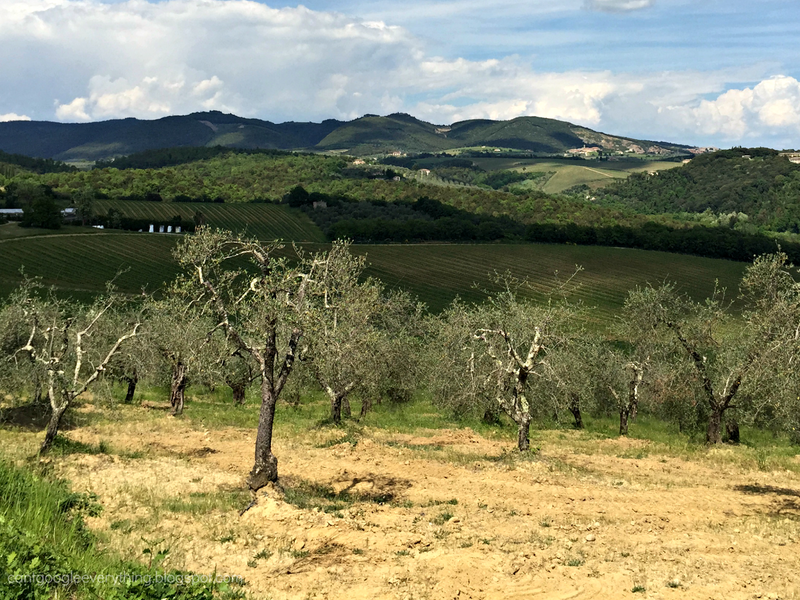 Along the drive we saw plenty of olive groves and grape vineyards! Fun fact I learned, people plant rose bushes at the ends of their vineyards because the rose’s show disease quickly which can alert the farmer to disease that might spread to the grapes! We saw plenty of old, but very well maintained, Fiat’s along our drive and throughout Rome! I just love the bright color of this one! No big deal, just driving up to a 12th Century castle! 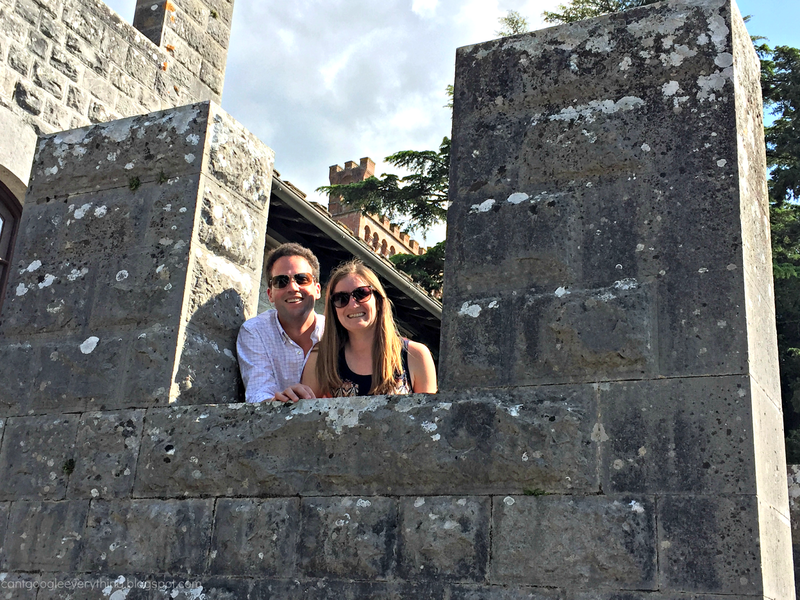 We stopped in to visit the Brioli castle and winery in the Chianti region. 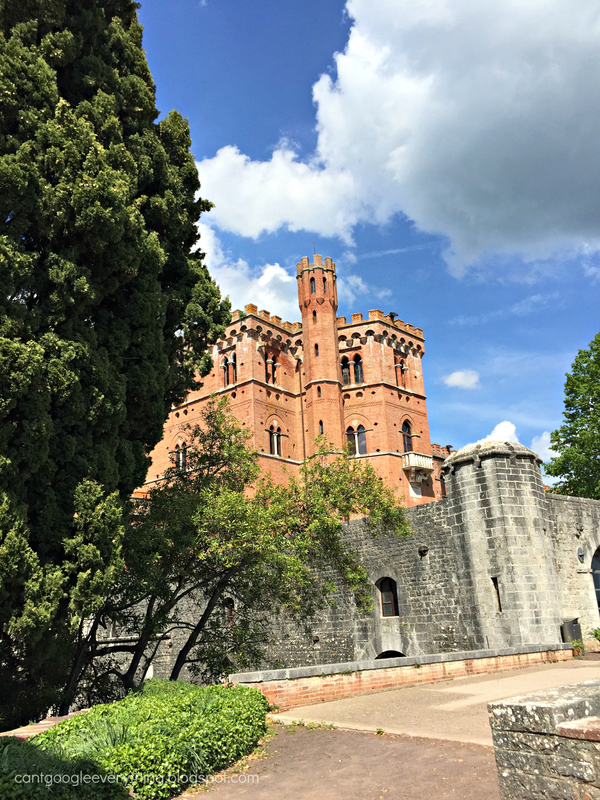 The castle dates back to the middle ages and passed into control of the Ricasoli in 1141 and has been in held in the same family ever since! In fact, they still live there and you can see their kid’s play-yard while walking around the ramparts! It is the oldest winery in Italy and the fourth longest-lived company in the world in that’s been open in the same place! We toured around the castle and grounds, and of course did the wine tasting at the nearby tasting room! We tried some fantastic wine there and the woman running the tasting was amazingly knowledgeable and helpful! We met some fellow tourist from DC and we took each other’s photos at the castle! Later that day we continued our drive up to Florence to stay the night. Florence was pretty cool, I wish we had stayed there an extra day! 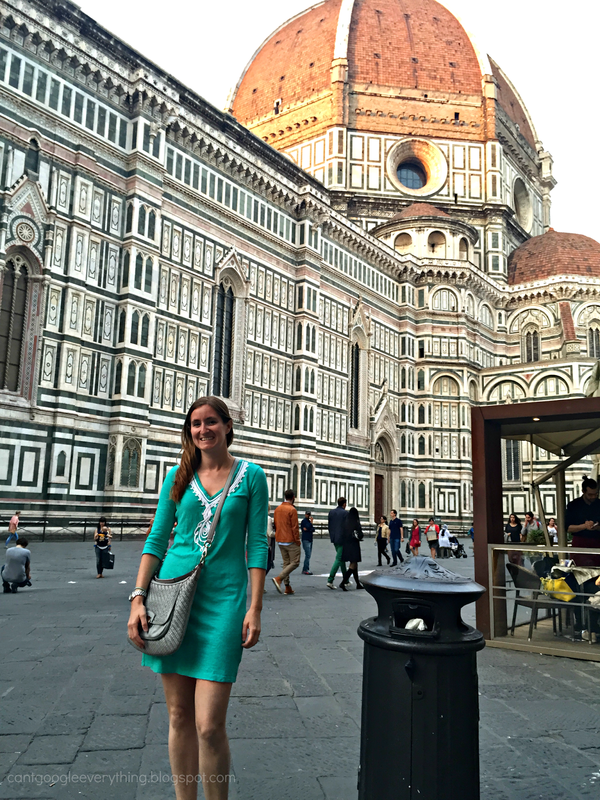 I was most excited to see the Cathedral with the famous dome designed by Filippo Brunelleschi! The church was built over the course of a couple hundred years with an opening for the dome, which had not yet been created! 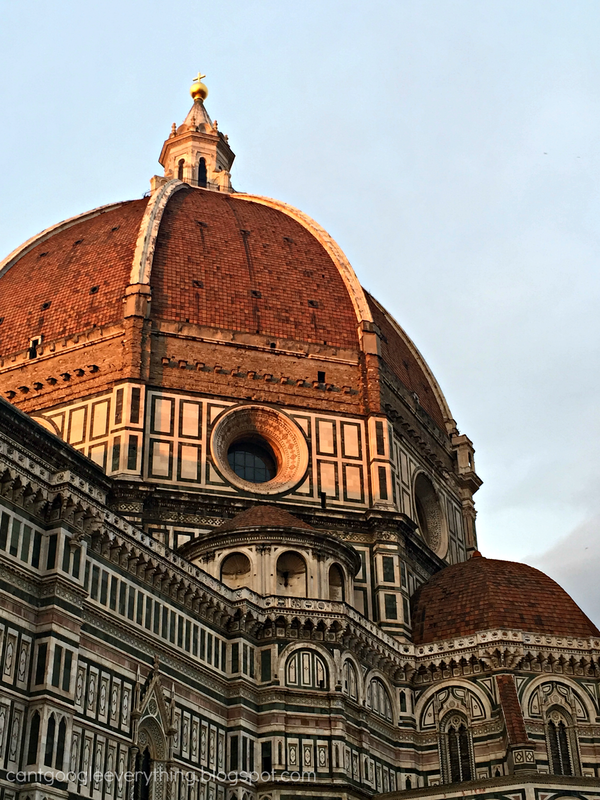 Brunelleschi took over this task and designed the dome, which was the first Renaissance dome and a model for other similar buildings. At this point in the trip my blow dryer wasn’t working, and the blow dryer in the hotel in Florence didn’t work, either, so I had to brave dinner with wet hair. No matter though! 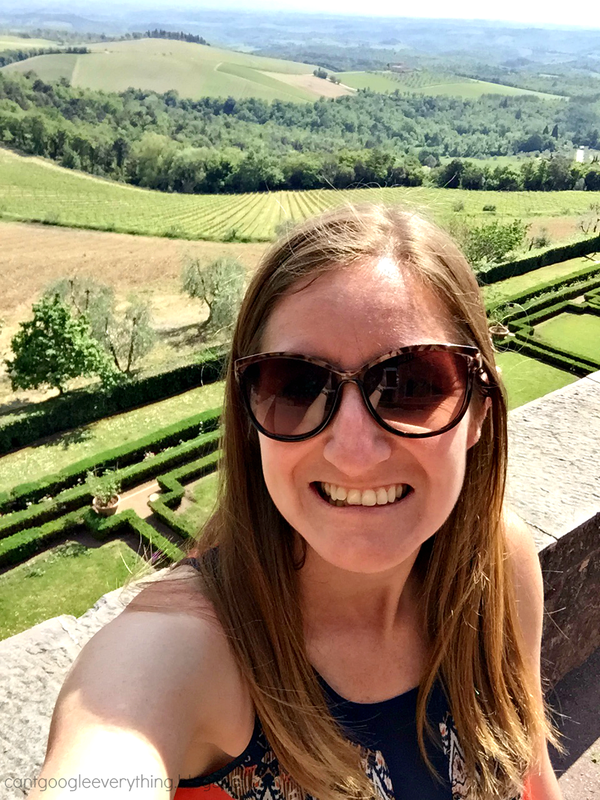 We enjoyed walking around Florence, seeing the dome and having a delicious Tuscan meal! 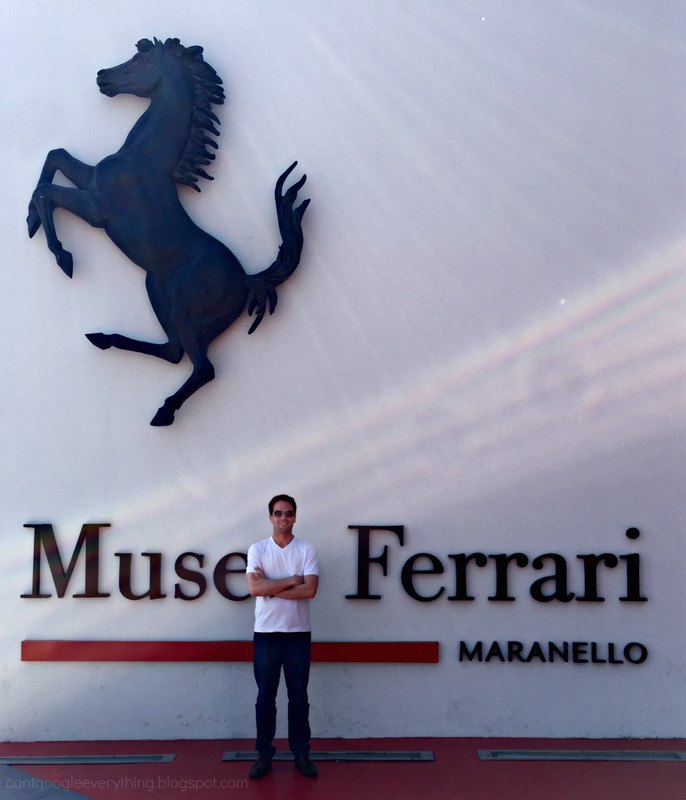 The next morning we left early so we could make it to the Ferrari museum right when they opened. My husband wanted to be the first people in and we were successful! I won’t share every car picture we took, but I will say I think this was my husband’s favorite part of the trip! We walked through the whole museum, twice, before heading off for the airport in Milan! And that brings us to the end of the trip! If you stuck with me this long, thanks for reading all about it! Next week, due to popular demand, I’ll post about the food and some of the drinks we had on our trip and that will be my last Italy post, at least until we go again! Ciao! Italy is on our 5 year plan. We went pre-kids and are ready to head back! It looks like you guys had such a wonderful time. We were last in Tuscany in 2004 and I can not wait to return. We were in Florence in March. It is FABULOUS!!! Your photos bring back good memories! Ah, actually Rachel, I could read about this trip for as many Posts as you would like! Love it! What a trip, and the photos are real good capturing the big picture with clarity. So on the blow dryer, making me recall… a long, long time ago when we all used curling irons everyday… well, one night readying for dinner in Spain, the hotel electric, even using the adapter, when I rolled up the front of my hair- it not only burnt my hair off- but completely melted the curling iron. No Matter, I ate dinner… that is with an ashen face in a state of shock. Love the wineries, even the cars, looking forward to the food and wine segment! Looks like a wonderful trip, I haven't been to Italy since about 1999, it's been way too long. So jealous right now! What an amazing trip. oh man, i bet that was amazing. italy is of course on my bucket list. did you guys plan this whole trip yourselves or were you on a tour or something?